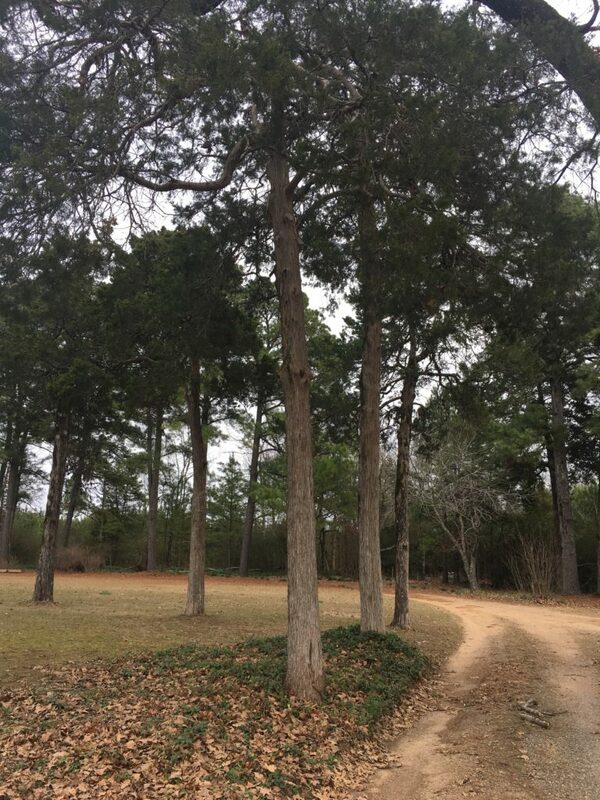 On this New Year’s Day I am sitting in a very old house, surrounded by ancient oaks and one remaining corner of a cedar tree fencerow planted as a demarcation line 100 years ago. 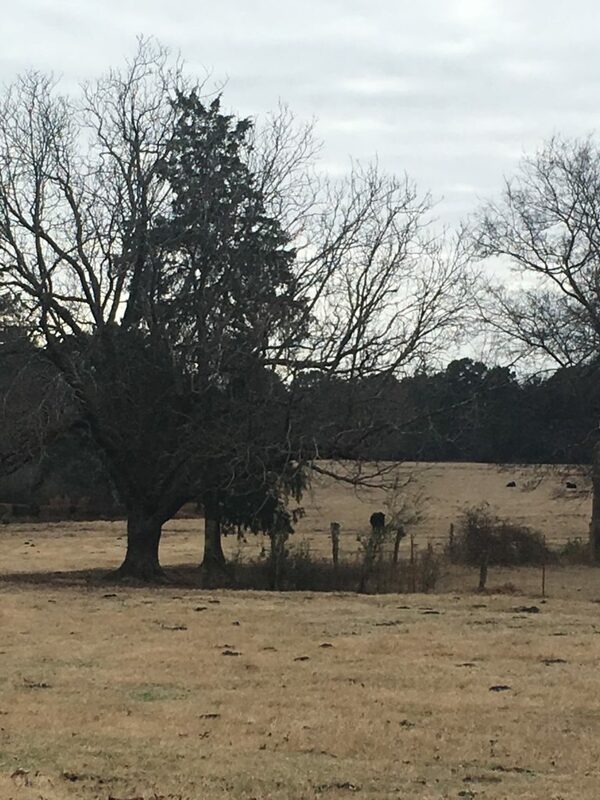 Though remodeled and updated through the years, the old farmhouse sits on the original foundation; uneven original pine floors prolifically marked by decades of footfalls. Not unlike the playhouses my brothers and I used to make out of assorted corrugated boxes, this dwelling is an odd collection of rectangular shapes with varying ceiling heights, windows added where doors used to be, and walls thick and thin and slightly uneven. I’m spending the week with my now 92-year-old mother. This is no “have to” in my mind but a “get to,” a privilege I know many wish they still had with their parents. My sweet mom had some rough days in 2017. Hardest of all was the time she had to spend in a rehab facility last March. I’ll never forget her sitting on her new bed in room 105. The little girl in her looked forlorn and anxious. But thankfully it was a short stay and she’s now living at the farm, in this old house where she was born, sleeping every night under the cerulean blue tin light fixture that illumined this same space in her childhood. Her mind is sharp. We talk about the weather, politics, family members, books she’s reading, and the Andy Griffith show she watches with regularity. She isn’t driving her car anymore like she was a year ago, but she has a fancy new chariot with four wheels, hand breaks and a seat that doubles as a tray for transporting whatever she wants to carry around the house. She’s quite mobile with her new wheels. Watching her age is reminding me of two unchanging truths. The first is death is unavoidable no matter how much we exercise, control our diet, use hand sanitizer or essential oils. The end of our days on earth cannot be avoided. I feel a growing sadness as I watch her losses accumulate. I also can feel my own anxiety knowing I’m following the same path. Happily however I’m reminded of the second unchanging truth. God takes immense joy and delight in new beginnings. Restoration is and always has been His specialty. My mother’s constant pain in her back, her arthritis, her bad knee and a multitude of other maladies I don’t know about because she rarely complains, will all be changed and her body made new one day. And so it is with each of us as we fear or welcome a new year. We are walking simultaneously toward death and new beginnings. God has already gone ahead of us into both heaven and 2018. What looks like a great unknown, a blank slate, a fresh start is known by Him. He is there. Jeremiah told us God knows the plans that He has for us. I sigh and relax at the sound of those comforting words. Even more wonderful to me is God’s never-ending creativity in all He does. He doesn’t just restore but He makes everything better. All things become new. Because He didn’t stop being creative when He rested on the seventh day in Eden but is endlessly, giving us new life, new ideas, new dreams for our souls. As our little team at Ever Thine Home looks ahead to 2018 we are praying about where God wants us to go, trusting Him for the plans He has for us. We all want to be led by His Spirit to learn and create and grow for His glory and His pleasure. Here are a few new beginnings to watch for. January is always full of resolutions and we are going to propose to you and ourselves a list of five that we believe can really change your life! Watch for One Minute Prayers every Wednesday. A change to note this year; the prayers will be Scripture focused and they will be crafted in much smaller bite sized servings. February will be a full month as the 14th is both the start of Lent and Valentine’s Day. Watch for beautiful biblical resources to help you focus your family on God’s love on this holiday. 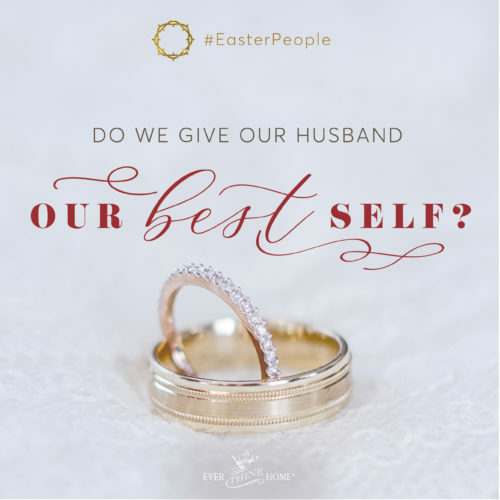 Our biggest focus will be on getting ready for Easter! 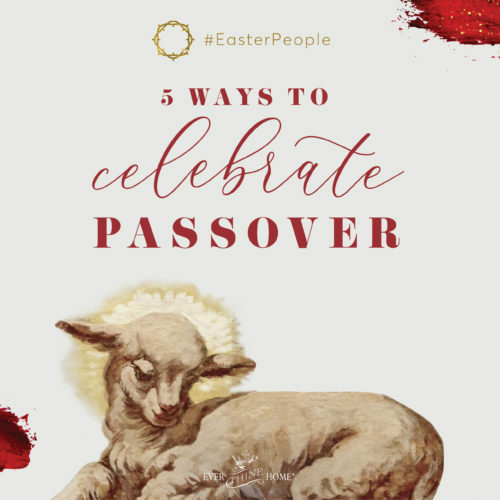 If you have followed our blog even sporadically in the last few years you’ve likely caught the emphasis we’ve placed on making much of Easter. I’ve written many posts urging and challenging us all to elevate our celebration of this life-altering event, the Resurrection of Jesus. Watch for how to videos, inspirational ideas, a new Easter Advent banner and calendar and more to help you and hopefully thousands of others show the world Jesus is Lord and King! 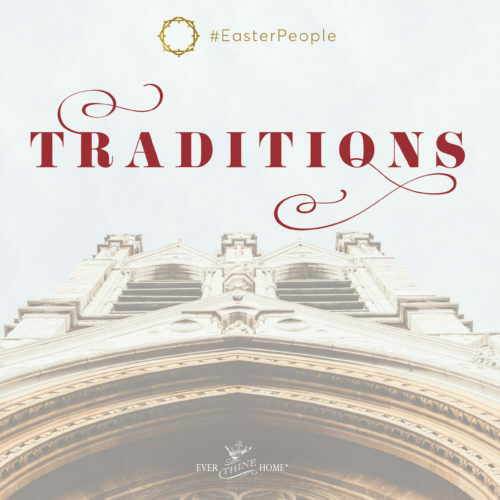 There will be more ways to worship and adore Jesus post Easter in the dailyness—yet sacredness—of our homes, but for now that’s enough to whet your appetite I hope. My mother’s hope and mine is founded on the promise that God will one day restore her body and at the same time will welcome her to a new home with Him and her husband, her brother, mother and dad and beloved family and friends I’ve never met. My hope is the same, for my destination is the same. God’s word gives us both the same assurance. We invite you to join us as we learn more about Him, discover a deeper relationship and greater joy and fulfillment in following and loving Him. Welcome 2018. We step across this new threshold with hope because we know Jesus is already there. Thanks, Barb, for this warm encouragement toward confidence in the Lord. You put us in the farmhouse, in the calm tranquility of God’s waiting room, in the love of a daughter and mother, and in the continuity from this life to the next. I always look forward to your writings. P.S. 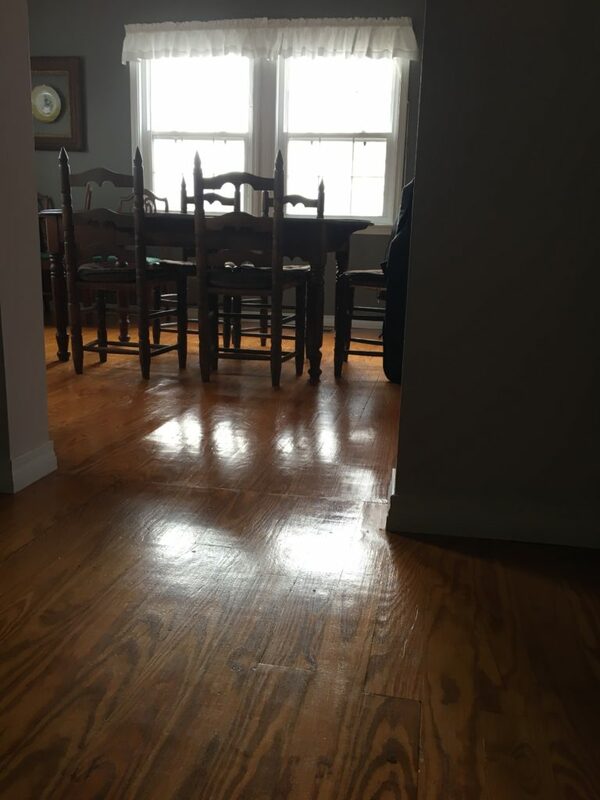 And oh, those pine floors! What a delight to hear from you Susan. That you look forward to my writing means a LOT. And your compliment made my day! Got home Saturday from my mom’s. We had a very sweet, slow, time together and made plans to spend another week again this spring. I’m very grateful for these days with her. I’m 70, 3 years ago my Mother went to be with Jesus. She was days away from turning 94. For some reason I’ve missed her even more in the last few months, perhaps it’s because I’m the last of my family of 5. Time with loved ones is paramount. Thomas Kincaid has a painting “In My Father’s House” (John 14:2), a copy of which I have hanging over our fireplace. It’s a constant reminder that this is not my home, we are just pilgrims passing through. It is my prayer I’ll do my best to honor and be a witness for Jesus in 2018. Caleb was a man who did his best work at age 85. There’s still time. Thank you Barbara for your beautiful message. Susan — thank you for your comment and your reminder about Caleb! I love it! Thank you for these words! 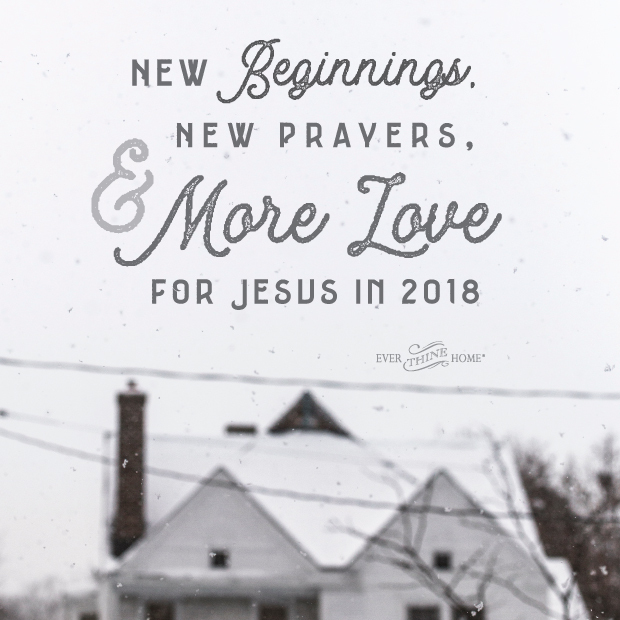 I look forward to following your blog in this new year, gaining wisdom and insight in this season of life that we share … follower of Jesus, wife, mother, grama, and friend. Also loving and caring for an older parent. You have been a part of my life since around 1996, along with Family Life and I am so blessed each time I am able to listen or read something by you! Blessing to you and yours! Your words have encouraged me as my 95 year old mother fights to stay in her own home. She has glaucoma, is nearly deaf and cannot walk. She lives isolated in snow country with 8 hours of aide help per day. Her three children live far away. Please pray for us as we try to care for her as she is living there against doctors orders. I read your post as I sit here in the hospital with my 90 year old mom. She is devoutly buddhist yet I pray that she will come to know Christ before she passes. My agnostic dad came to accept Christ before he passed away so I have hope that she will too. Thank you for your post today. I look forward to 2018 with you. Thank you for reminding us of Gods’ Promises, His creativity and His faithfulness to accomplish all this! Dear Barbara, so beautifully written. You touched my heart. I shared this with my husband as we traveled home from visiting family. As I am in my latter years, having celebrated 71, I can appreciate your words and God’s promises even more now. Thank you for always pointing us to Life in Christ. Very cool. I like your focus for 2018. I’m on board. So wise and true!! Thx for sharing!!! “For now we see in a mirror dimly, but then face to face, Now I know in part; then I shall know fully, even as I have been fully known. So now faith, hope and love abide, these three; but the greatest of these is love.” 1 Cor. 13:12-13. What more can we ask?